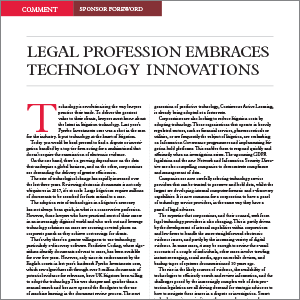 Technology is revolutionising the way lawyers practice their trade. To deliver the greatest value to their clients, legal professionals must know about the latest technological solutions. 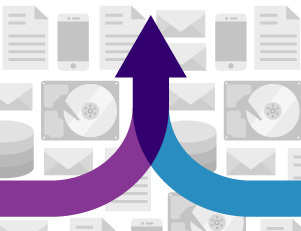 Paul Hunter shares some comments on what lawyers in Australia need to keep in mind as predictive coding gains adoption in the region. Phil Smith, a director in FTI Technology’s Melbourne, Australia office, is an expert advisor to clients looking to implement predictive coding. He shared some insights on how the technology is evolving in Australia and FTI’s efforts to help clients update strategies and streamline e-discovery reviews using technology that is still nascent in the region. 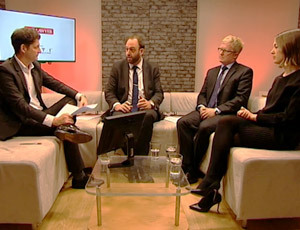 On a webcast hosted by The Lawyer, a panel of experts discussed a number of key questions around predictive coding, including examining the issues raised in the Pyrrho case, the impact it would have on the UK market and what the future holds for law firms and corporates. 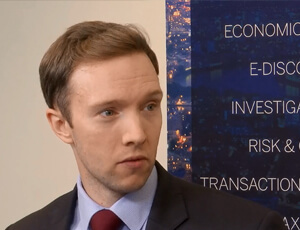 The first formal judicial endorsement of the use of predictive coding in e-disclosure in the UK came from Master Matthews in his High Court ruling in the Pyrrho Investments v MWB Property Ltd case. 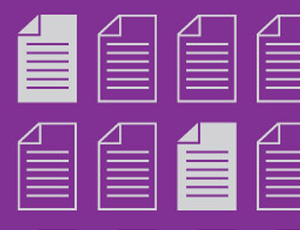 In this paper, we look at the landmark decision and how it is likely to impact e-disclosure costs and proportionality arguments in UK courts, and increase the willingness of legal teams to use predictive coding in document reviews as part of a wide range of disputes and investigations. 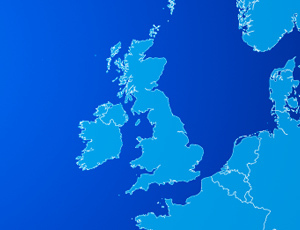 By now you have probably heard about the February 16th ruling in the case Pyrrho Investments and MWB Business Exchange v. MWB Property and others by Master Matthews of English High Court. In the ruling, Master Matthews outlines many of today’s e-discovery (or ‘e-disclosure’) challenges for litigants – the growing mountain of data for any-sized litigant, and the shortcomings of keyword searches. 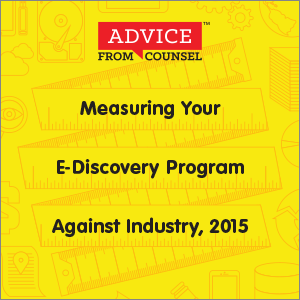 How does your e-discovery program measure against your peers? 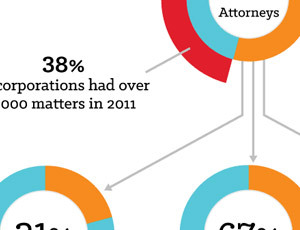 How does your team size, budget and technology adoption compare to other companies? 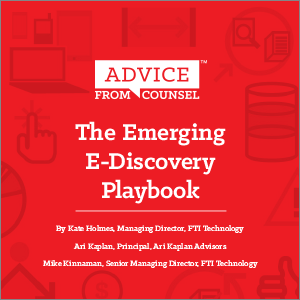 Download the study now to learn best practices from Fortune 1000 e-discovery professionals on a range of topics, from data security to budget transparency and retention policies. 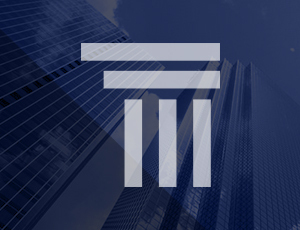 A proposed merger between telecom giants generated a Hart Scott Rodino Second Request action that resulted in considerable difficulties for the parties involved. 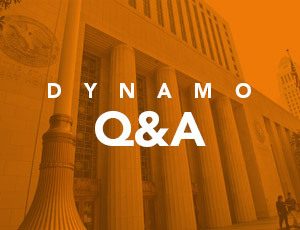 On September 17 Judge Buch of the U.S. Tax Court made an important ruling in favor of predictive coding in the Dynamo Holdings Limited Partnership, Dynamo GP, Inc., tax matters partner, et al v. Commissioner of Internal Revenue case. This is the Tax Court’s first ever opinion regarding how to conduct e-discovery, and FTI’s own Jim Scarazzo served as an expert witness in court and was cited several times in the ruling. Here is a short Q&A with Jim about the case and his involvement. 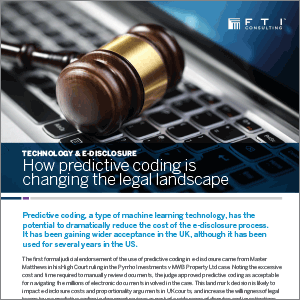 Predictive coding is overhyped to the extent that while few legal teams consistently use it, the topic itself is practically passé. 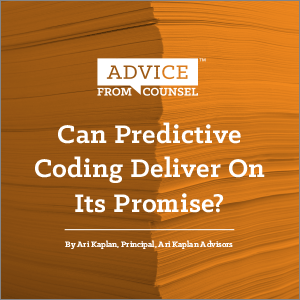 Yet in conversation corporate counsel and law firm attorneys express the need to cut through the hype and understand how to use and defend predictive coding. 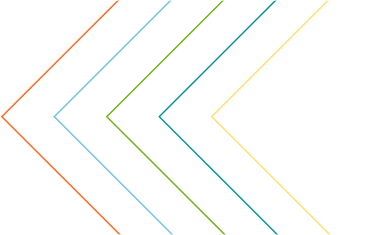 View this webcast to hear our panelists take predictive coding out of the black box by discussing methods for testing, measuring, and defending the methodology. Just one more week to Legal Tech New York and the panels are putting the finishing touches on presentation materials. Our 10:30 am session on Wednesday the 5th covers predictive coding from a different angle than most conference sessions. First, we’re fortunate to have distinguished legal professionals representing the bench, corporate in-house teams, as well as law firm counsel. 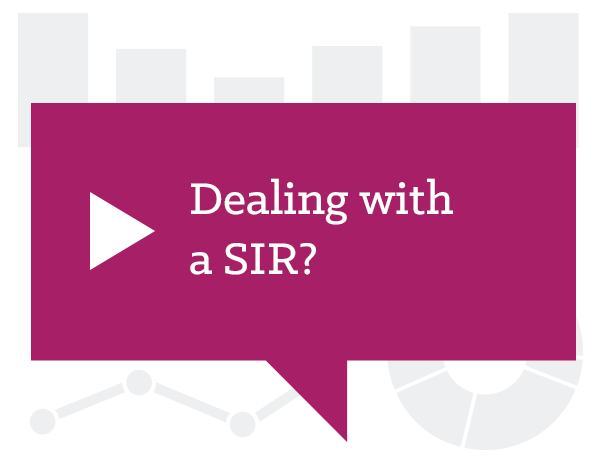 Secondly, the focus will be on practical advice for using predictive coding for three common use cases – Second Requests, in-house investigations and litigation. And last but not least, the panel will discuss some of the unanswered questions as it relates to predictive coding. 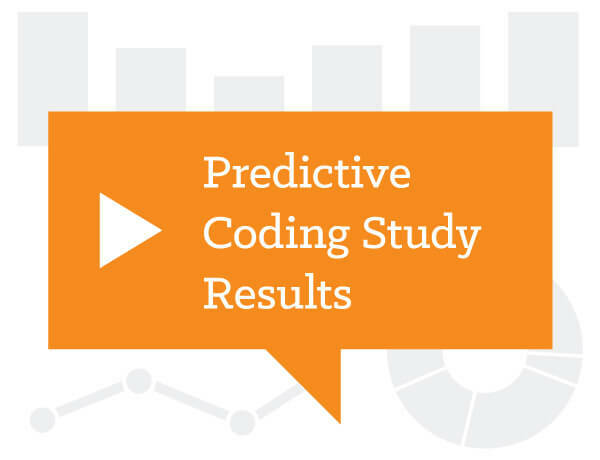 This includes the debate on whether or not to disclose the use of predictive coding, the role of keywords, and also knowing when predictive coding may not be well-suited for your case. 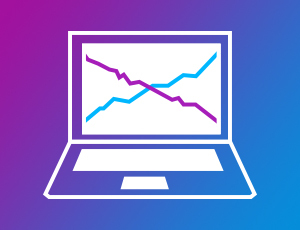 It’s easy to think that the world’s move towards more visual representations of data is relatively new. 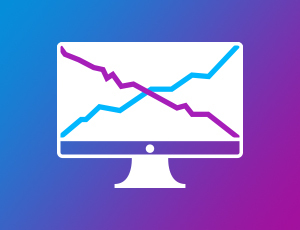 Think of the increased number of infographics in newspapers, GIFs on the web or even icons on your desktop. 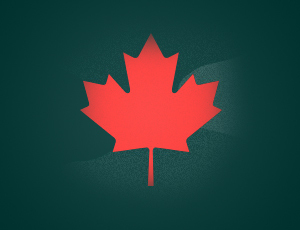 But in fact, did you know that the first infographic was invented in 1786? And that even Abe Lincoln appreciated how infographics were able to convey complex information in a simple manner? 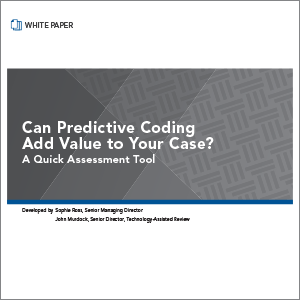 Download this white paper learn more about confirming predictive coding results. 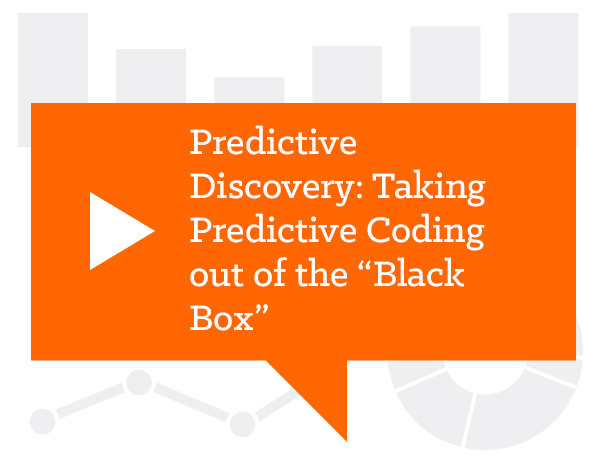 View this recorded webcast to learn how you can develop matter-specific workflow incorporating both predictive coding and analytics and benefit from smarter e-discovery. Landmark cases including Da Silva Moore have resulted in rulings favorable to predictive coding. But is this proven process right for your case, or will it add more problems than it solves? 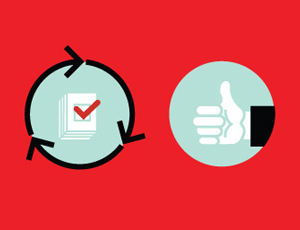 Download this white paper and use its 10 guidelines as a quick self-assessment. 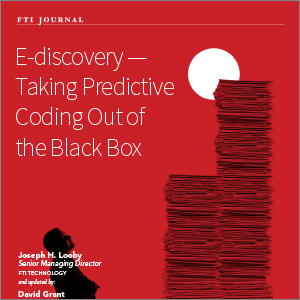 FTI Technology commissioned an interdisciplinary survey of law firm leaders and senior corporate counsel to identify key trends and perspectives on the emergence of predictive coding.